GRAND FINALE: Having already bagged the Manning Cup and Boys Champs title this season, Kingston College was amped up to win the 50th anniversary season of Schools’ Challenge Quiz, but St. Jago High was determined to take the trophy back to Monk Street in Spanish Town. The venerable St. Catherine-based school outscored the North Street giants 39-19 to secure the win before a packed audience inside the TV-J Studios on Tuesday night. 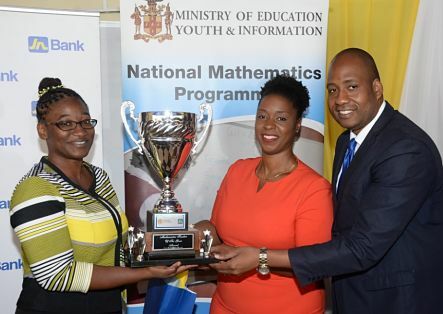 In addition to the championship trophy, the winners walked away with cash awards and other prizes from sponsors Kingston Bookshop, Digicel, and Tru Juice, among others. 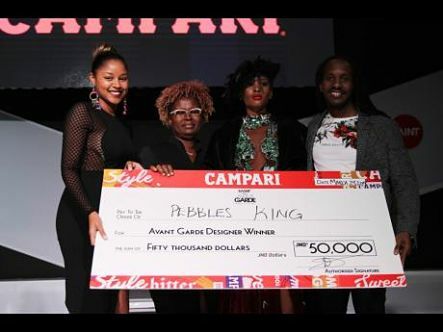 SHE’S A ‘HIT’: Interpreting the theme ‘Reggae meets Campari’, seasoned designer Pebbles King emerged the judges’ favourite as the curtains came down on the 2019 staging of the Avant Garde Designer of the Year competition inside the Courtleigh Auditorium in New Kingston on the weekend. King’s winning entry, “Hit Girl” (sported by model Shannon Duhaney) was a couture combination of faux fur, bits of glass and sheer fabric. King walked away with a cheque valued at $50,000. Doing the presentation, Minister of State for Culture, Alando Terrelonge, was so impressed by King’s work that he decided to reward her with an extra 20 grand. Nine finalists made the cut for this year’s competition, put on by Saint International, from a pool of nearly 30 submissions.